Our DialzipTM dialup network is compatible with all Windows operating systems. 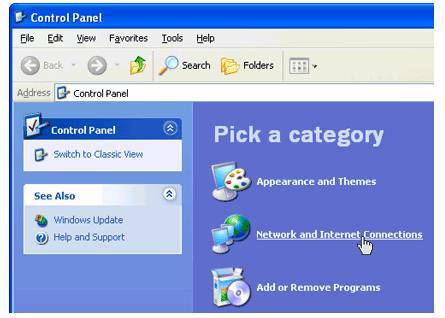 Windows XP (all versions Pro and Home) uses a Wizard type device to make an internet connection and is a little different from other versions of Windows. To setup your account properly you should be familiar with the dialup protocols of your operating system. 1.) 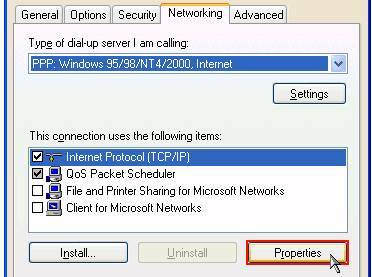 The steps listed here will allow you to configure Dial-Up Networking (DUN) under Windows XP. This will allow you to connect to us without the need for any additional third party software. To begin, left click on your Start button, move your mouse so that Control Panel is highlighted, and then left click to select it. You will now be in the control panel. 2.) Double click on the option for Network and Internet Connections (see above). 3.) You will be asked to pick a task. 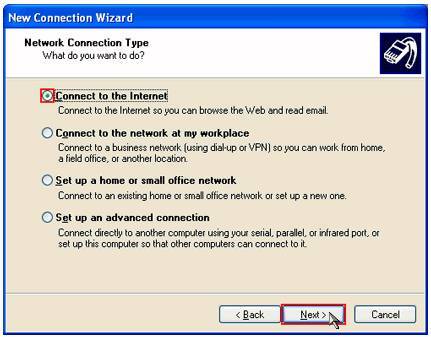 You want to set up an internet connection, so double click on the option marked Set up or change your Internet connection. The Internet Properties window should now be displayed (pictured below). 4.) Make sure you are in the connections tab and then click on setup. You should now be in the New Connection Wizard which will guide you through the rest of the process. Click on Next. 5.) Make sure connect to the internet is checked (see above) and click on next again. 6.) On the next screen, designated as GETTING READY, click on the Setup Connection Manually checkbox and click on next again. 7.) 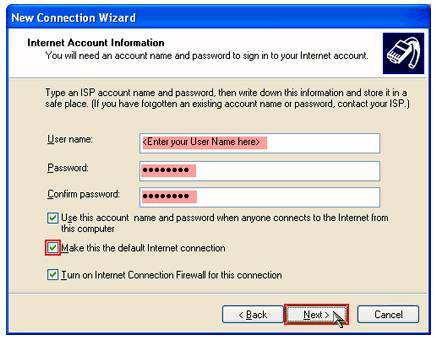 On the next screen, designated INTERNET CONNECTION, click on Connect Using A Dialup Modem and click on next again. 8.) On the next screen it will ask you for your ISP's name. Type WEBster and click on next. 9.) Now you will be asked to enter your phone number. This is not your home phone number, this is the phone number you will use to dialup that you got from our dialup number lists. (Note: To test what to put here, goto a telephone and try dialing the number by hand. If you hear a modem on the other end you will be sure that you have the right combination to connect). 10.) If you have followed the steps above correctly so far, you will be at the account information screen (shown above). Enter the logon username we gave you on your signup email exactly as well as your password. Pay special attention to upper and lower case: they matter. Make sure the "make this the default internet connection" option is checked. The other two options are up to you. 11.) Click on next. You will be taken to the COMPLETED screen. Here you may want to ask the system to create a link on the desktop. In any event, click on FINISH. 12.) One more step. Goto the Start button, select the CONNECT TO icon, and move to the WEBster connection you just created so that it is highlighted. While it is highlighted, RIGHT click on it and a few options will pop up. Select the properties tab. 13.) On the WEBster Properties screen, select networking. You should see a list of items, as shown above. Make sure the Internet Protocol option is checked, then highlight it and click on properties. 14.) You will be taken to the internet protocol properties page. 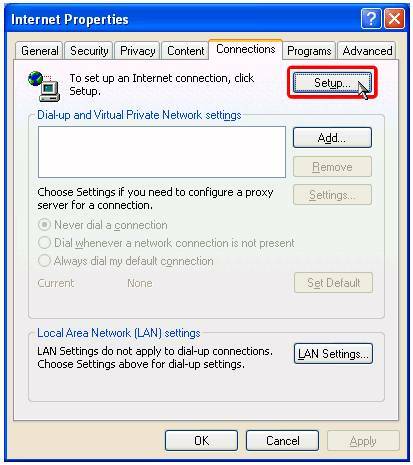 Make sure both the OBTAIN IP AUTOMATICALLY and OBTAIN DNS AUTOMATICALLY options are checked and then click ok. (note: if you have an ISDN connection, try these settings first. If you have problems, contact us for your DNS entries).